When thinking about spring break, sun, surf, sand, parties and time away from school or work likely come to mind. Tampa Bay has world-renowned beaches and is the perfect spot for spring breakers from all over the country. In March 2019, Tampa International Airport is expecting over 3.6 million visitors to fly into the Tampa Bay. The latest rankings from Dr. Beach lists Caladesi Island State Park in Dunedin/Clearwater, FL as the #7 top beach in America! Sometimes beachgoers forget that sun and alcohol create greater dehydration which can lead to an increased impairment in judgment! 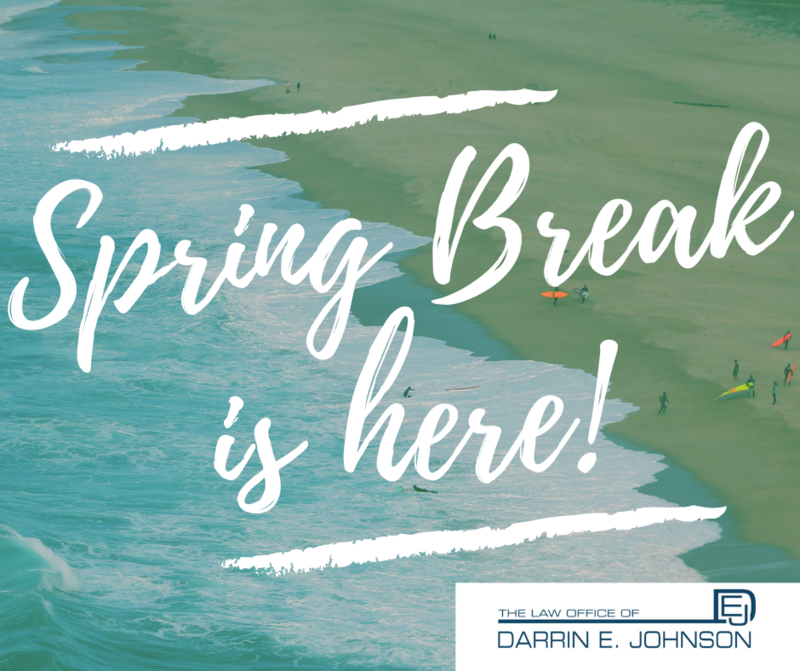 There is a saying in the criminal defense world, “come for vacation leave on probation.” This doesn’t just apply to tourists to the Sunshine state but locals too! Common arrests during the Spring Break time include DUI, public intoxication, indecent exposure, battery, and thefts. If you find yourself arrested – call the Law Office of Darrin E. Johnson, PLLC! If you find yourself in need of our help call the Law Office of Darrin E. Johnson, PLLC to assist you. We’ve helped clients from all over the world and throughout the State of Florida with their criminal cases and we do not judge you! It is important, especially if you live out of the area, to contact an attorney to assist you in the process of criminal courts. We would be happy to set up a free consultation to discuss your case and options. Please be safe, and have a happy spring break!